"Most Thorough Green Carpet Cleaning Santa Barbara!" More Than a Surface Only Cleaning....You'll Get A Deep Down "Green Cleaning"
Here at Healthy Home Plus, cleaning has always been more than simply improving aesthetics and appearance. clean and healthy home environment in your home and work place. We are committed to being a leader in our community providing ecology friendly cleaning solutions through the Healthy Home Plus Ecology Friendly system which is a systematic cleaning management philosophy and method that helps you to maintain a healthy home as well as preserving the environment. As modern cleaning professionals, Healthy Home Plus recognizes the health concerns of our clients and community and has introduced specialty ecology friendly cleaning methods and solutions that are people, pet, and environmentally friendly. 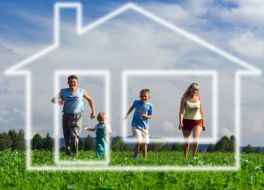 Healthy Home Plus's continuous improvement approach covers all aspects of products, processes, standards, equipment and people for all of Healthy Home Plus residential, commercial and restoration services. Healthy Home Plus Adopted A "Green Cleaning" Philosophy Before Green Cleaning Became The Fashionable Trend That You See Advertised Everywhere. Services are designed to provide a clean and healthy home environment by using high tech modern cleaning methods that use cleaning materials and compounds that minimize any potential environmental and safety hazards. This goes beyond the traditional "reduce, reuse and recycle" environmental approaches by providing a customized total cleaning solution begining with your indoor air system, your carpet, hard surfaces, upholstery and bedding. All of this equals a cleaner and healthier environment for you and your family. Services use specific cleaning compounds and materials that are specially formulated to provide an ecology friendly and health conscious cleaning solution. When combined with consistent periodic maintenance, Healthy Home Plus provides “Green Cleaning” efficacy and home health environment improvement. Healthy Home Plus's Ecology Friendly Cleaning Services combine cleaning compounds, work flow procedures, standards, equipment and materials for sustainable cleaning maintenance. They are designed for all cleaning situations but may be particularly appealing to individuals that suffer from allergies, respiratory or other health conditions and wish extra protection in the home or work environment. Regardless of which cleaning options our clients prefer, they are assured that Healthy Home Plus is providing cleaning services that minimize environmental impact on the home, the work place and the community while improving appearance and promoting healthier environments. Call 682-9483 Today For a FREE Green Carpet Cleaning Evaluation! The following is a list of potentially toxic cleaning products found in many homes and business's. Butoxy ethanol - (Also known as Ethylene glycol monobutyl ether; Monobutyl ethylene glycol) - Incompatible with bleach. May damage eyes and respiratory tract. Absorbed through the skin. May cause liver and kidney damage; causes birth defects in lab animals. With chronic exposure, causes central nervous system toxicity, testicular atrophy. Uses: In many cleaning products, including glass, window and allpurpose cleaners. Chlorine - (including sodium hypochlorite,Clorox) - Strong oxidizer. Produces toxic chloramine gas when mixed with ammoniated cleaning products. Corrosive to eyes and skin. Fumes are irritating or corrosive to the respiratory tract. Can kill microscopic life in waterways, septic tanks and sewage treatment plants. Toxic to aquatic life. Uses: Bleach, disinfectants, all-purpose cleaners, mildew remover, bathroom cleaners, spot removers, or in scouring powders. 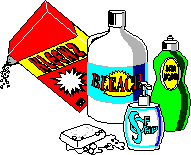 Dyes - (Includes azo, basic, disperse, fiber-reactive, vat dyes and fluorescent agents) May cause allergic reactions. Uses: As colorants or whitening agents in many products, including all-purpose cleaners, disinfectants, fabric softeners. Ethanol - (alcohol) - Clear liquid which can be absorbed by inhalation and across skin. Central nervous system depressant. Vapors can produce some eye and upper respiratory tract irritation. Uses: Detergents, disinfectants, carpet cleaners, tub and tile cleaners, air fresheners. Fragrances - Any of 4,000 chemicals. May cause skin irritation discoloration, rashes or allergic reactions. May be irritating to the eyes and respiratory tract. Uses: Many cleaning products, either to simulate the scent of “fresh air”, flowers, etc., or to mask odors of other chemicals in the product. Limonene - (d-Limonene, 4-isopropenyl, 1-methylcyclohexene) - A flammable, colorless liquid found in some plants. Skin irritant, sensitizer. If ingested in sufficient quantity, may be toxic to kidneys. When heated to decomposition, emits acrid smoke, fumes. Uses: aerosol, non-aerosol deodorants/air fresheners, bathroom tub and tile cleaners, hard surface cleaners, liquid laundry detergents, dry cleaning pre-spotter, polishing preparations, mechanics soap, oven cleaners, rug/upholstery cleaners, other specialty cleaning and sanitation products. Lye - (caustic soda, sodium hydroxide, potassium hydroxide) - Corrosive white crystals or colorless liquid. Liquid may cause severe eye burns or blindness, or skin burns with subsequent tissue scarring. Vapors are irritating to the eyes and respiratory tract. Aerosol formulations present an inhalation hazard. Uses: Drain opener, oven cleaner, detergents. Methylene Chloride - (methylene dichloride; dichloromethane). Colorless liquid. Incompatible with strong oxidizers and caustics. Central nervous system depressant. Probable human carcinogen. Uses: Disinfectant, all-purpose cleaner, degreaser, septic tank cleaner, laundry starch preparations, rug and upholstery cleaners. Naphthalene - White crystalline solid with the odor of mothballs. Skin exposure may cause severe dermatitis. Irritating to eyes and respiratory tract. Inhalation may cause headache, nausea, confusion, damage to red blood cells. Possible human carcinogen. Uses: Detergents, air fresheners, spotters. Nitrobenzene - A yellow oily liquid with an odor like shoe polish. May be absorbed via inhalation and through the skin. Chronic inhalation may cause liver damage. May bind with blood to reduce oxygen availability. Central nervous system depressant. Uses: Furniture polish, floor polish. Perchloroethylene - (tetrachloroethylene; ethylene, tetrachloride; PERC) - Colorless volatile liquid about 1 ½ times heavier than water. Central nervous system depressant, liver and kidney toxicant. Inhalation may cause respiratory tract irritation or cardiac arrhythmias. Irritating to the skin and eyes on direct contact. When released in water, can smother small aquatic life. Can be toxic to sewage treatment bacteria. Uses: Graffiti remover, carpet spotter, metal cleaner, degreaser, dry cleaning solvent, furniture polish, household hard surface cleaners, laundry starch preparations, oven cleaner. Petroleum distillates - The lighter liquid hydrocarbons refined from crude oil by distillation, including petroleum ether, naphtha, mineral oil, mineral spirits, Stoddard solvent and kerosene. (Heavier distillates include lubricating oil, grease, paraffin wax and asphalt; gaseous distillates include propane, butane). Liquid petroleum distillates contain varying, but usually small amounts of aromatic hydrocarbons (benzene, toluene, xylene, cycloparaffins, naphthenes). Liquid petroleum distillates are flammable. They are skin, eye and respiratory tract irritants. Uses: Found in many janitorial cleaning products. Phenol - (carbolic acid) - Colorless crystals, which can be dissolved in water or some organic solvents. Liquids have sweetish, sickening odor and can burn skin and eyes. In aqueous solution, phenol is not highly volatile, but it is readily absorbed through the skin. Abnormal pigmentation commonly occurs following dermal contact with phenolic compounds. Vapors are strongly irritating to eyes, nose and throat. Exposure by inhalation to a low concentration of phenol six times for five minutes produced increased sensitivity to light. Uses: In detergents, disinfectants, deodorants, furniture polish, air fresheners, mold and mildew removers. Phosphates - Environmental hazard. Phosphate-containing compounds increase biological oxygen demand in surface water. Uses: In detergents, bathroom cleaners, floor strippers. Phosphoric acid - Colorless, odorless liquid.Corrosive to ferrous metals and alloys. Should not be mixed with bleach or ammonia. An irritant to the eyes, upper respiratory tract, and skin. Phosphorus-containing compounds increase biological oxygen demand in surface water. When used as an agent for metal cleaning, phosphoric acid may react with impurities in the metal and release phosphine gas. Uses: Metal brighteners, cleaners, detergents, sanitizers. Pine oil. Potassium metabisulfite - Colorless crystals which are soluble in water and ammonia. Dust is mildly irritating to eyes, nose and throat. See also Sulfur compounds. Quaternary ammonium chloride (didecyl dimethyl ammonium chloride) - A flammable liquid. Corrosive. An irritant to the eyes, skin, upper respiratory tract. May cause central nervous system depression. Ingestion may cause pain, swelling, breathing difficulty, convulsions. Ammonium chloride is harmful to aquatic life in very low concentrations. Sodium dodecyl benzene sulfonate - Environmental hazard. Increases biological oxygen demand in surface water. See also Biological oxygen demand. Uses: As a wetting agent (surfactant) in heavy duty laundry products; metal cleaners, specialty cleaners and sanitation products. Sulfur compounds (including potassium metabisulfite and sodium bisulfite) - Corrosive irritant to skin, eyes, and mucous membranes; sulfur-containing compounds may be allergenic and may produce skin rashes or difficulty breathing in persons with asthma. When used in rust removers, may produce fumes of sulfur dioxide, a respiratory irritant. Uses: Antioxidant and preservative in a variety of cleaning products. Toluene (methylbenzene) - Volatile, flammableliquid with strong chemical odor. Eye, skin and respiratory irritant. Central nervous system depressant. Cardiac sensitizer. Prolonged or repeated exposure may cause liver, kidney damage or anemia. Exposure during pregnancy may result in birth defects. Uses: Solvent in a variety of products such as graffiti remover, floor polish, furniture polish, laundry starch preparations, household hard surface cleaners. Trichloroethane (1,1,1-trichloroethane; 1,1,2-trichloroethane) - colorless liquid with mild chloroform-like odor. Because it is four times heavier than air, vapors tend to collect in low spaces. Corrosive to aluminum. Repeated dermal exposure may result in skin irritation. Central nervous system depressant. Cardiac sensitizer. The 1,1,1-isomer is also a Class 1 ozone depleter (like CFCs) being phased out under the Clean Air Act. Uses: Solvent, degreaser, spotting fluid, drain cleaner; formerly used as an aerosol propellant. Trichloroethylene - Colorless liquid with mild chloroform-like odor. Because it is four times heavier than air, vapors tend to collect in low spaces. Suspected human carcinogen. Central nervous system depressant. Cardiac sensitizer. Associated with birth defects of the heart, and in animals, decreased fetal weight and abnormal sperm. Uses: Degreaser, solvents, graffiti remover. Xylene (dimethylbenzene) - Colorless, flammable liquid with a sweet odor. May attack some forms of plastic and rubber. Incompatible with strong oxidizers. Vapor may cause irritation of the eyes, nose, and throat. Central nervous system depressant. Chronic exposure to xylene may cause dry irritated skin, reversible eye damage, difficulty breathing, changes in liver function, kidney damage, anemia, and toxicity to white and red blood cells. Uses: Solvent, air fresheners, stainless steel cleaner, floor polish. and Healthy Home Exact Price Quote at 682-9483.